Whether you want to add a pop of color from blooming flowers or a touch of greenery with lush plants, there’s no better way to house both than with a sturdy outdoor planter. 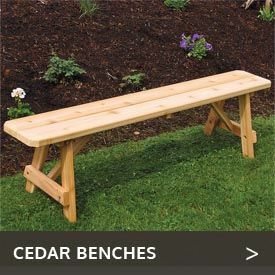 CedarwoodFurniture.com offers a wide selection of cedar planters to fit in just about any type of outdoor space, and they’re made with top-quality woods for an incredibly durable, attractive finish. Browse our entire inventory of long-lasting planters to find the one that best suits your needs. Our English-inspired square outdoor planter boxes offer a traditional look that’s perfect for holding roses and flowers. 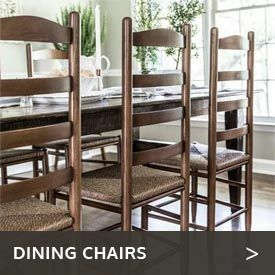 These also come in long, rectangular styles that sit neatly against a railing or the side of your home. 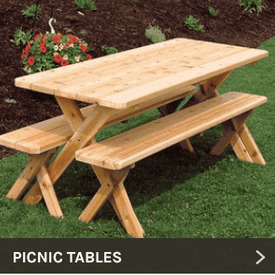 For something a bit more decorative, browse our trellis planters, elevated gardening systems and even cedar planter bench sets that create relaxing places to sit with a good book and a cold drink.